Completely remodeled from top to bottom this home is a must see! Pole barn style exterior with a warm and inviting interior. Open concept with 3 Bedrooms and 2 bath includes a spacious master bedroom featuring a 9 x 11 walk in closet and a 13 x 15 Master Bath with an air tub, and a separate stand up shower. Brand new bright modern Kitchen with a ton of beautiful white cabinets. 2 Car Attached Garage with a 10 x 14 overhead door. 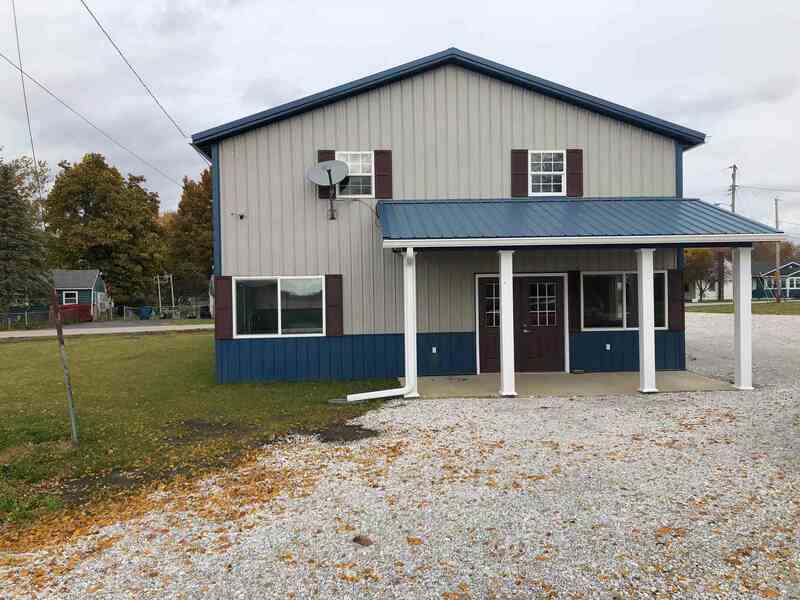 The house has newer siding, windows and metal roof.. all spray foam insulation making for more efficient utilities.. all new flooring, paint, kitchen, bathrooms, and light fixtures.. 2 furnaces, so garage has its own.. All appliances stay, washer and dryer too, everything is brand new. Corner lot with plenty of parking. $44 gas bill, $30 electric with the heat set at 65, so affordable and so efficient! !